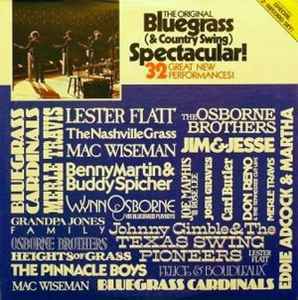 Various ‎– The Original Bluegrass (& Country Swing) Spectacular! The Original Bluegrass ( & country swing ) Spectacular ! A very nice introduction from CHM records label to the mostly traditional-style bluegrass sweet songs . All the major blue grass country swing artis completed in this 2 LP compilation. All those subtle honest songs are just perfect for our sunday after church music playlist .